Earlier, we didn’t have much choice in the type of appliances you could buy to wash your clothes, most washing machines came with standard cycles and they used gallons and gallons of water. Now It has changed dramatically the past few years. 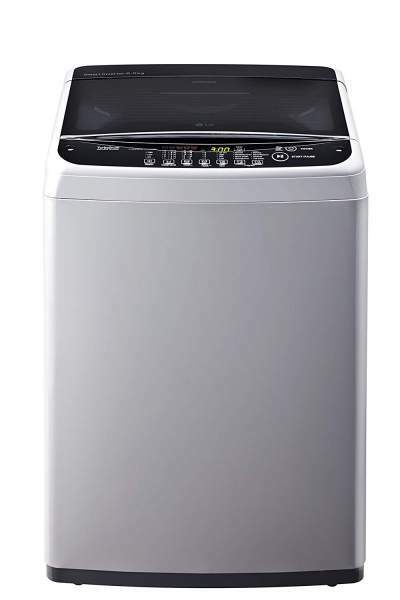 In this post you will find the list of best top loading washing machine in India 2019. There are different types of washing machines available in India, semi-automatic, fully automatic with front loading and top loading options. While keeping an eye on future needs, you should buy a good washing machine which has all cloth caring & cleaning facilities. A front loading washing machine has its own benefits, you can find reviews at best front loading machines in India 2019 article. Certain things need to keep in mind before buying washing machine is capacity according to your family size, washing options, quick wash, child lock. Many top-loading machines have become more energy efficient and have more cycles and options than ever before. They are also compact and light weight that makes them easily movable in your home. You also get the ability to put more clothes in the machine even after the washing cycle has started. Below we have listed down the best fully automatic top loading machines in India 2019. It has been listed with all best features which will guide you to select the best one which suits to your requirement and budget. Size and Performance – LG is the best washing machine brand in the washing machine. 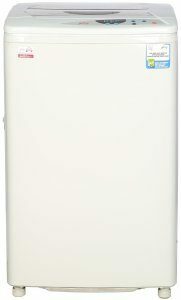 This unit comes with 6.5 Kg capacity and suitable for 4 family members. 1200 RPM gives higher spin speed and faster the drying time. LG has introduced fully automatic best top loading washing machine with smart features. Smart Inverter Motor with 10 years warranty – Smart Inverter Technology is yet another Milestone in LG washing machines. The Smart Inverter motor enhances the washing performance by adding smart motions to your wash. It consumes 40% less energy than conventional motors. Less vibration, Less Noise & comes with a 10 years of motor warranty. Smart Diagnosis – LG has come up with smart diagnosis feature, there is no need to wait for an engineer to detect a problem. Just dial smart diagnosis and wait for the telephone to tell you what to do or for a single visit by the service engineer with the solution. This removes the hassles of explaining your problem and saves cost & time. Turbo Drum+ Smart Motions – Smart Motion combined with Turbodrum and precise smart inveter motor control upgrades the way of washing provides better performance. Tub Clean – To sterilize the inner and outer tub for preventing the unpleasant smell of tub. Jeans – Use when washing jeans of different sizes. Child Lock – If you want to lock all the keys to prevent settings from being changed by a child. Side Waterfall – Side waterfall mixes detergent with water effectively and minimizes detergent residue. LG washing machine price is most reasonable compared to other brands and gives full value of money. This is one the best washing machine in India. IFB washing machine provides high quality, high-performance and best top loading washing machine. It is one of the leading company at international level for washing manufacturing. The Washing Machine comes with 8 wash programs making the process easier and convenient to wash all kinds of clothes. Its 6.5 kg allows you to wash a large number of clothes in one go. 3D Wash system – It adds dynamic movement to the water and ensures that you get a cleaner and fresher wash for your clothes anytime. A special water system with nozzles, circulates the water 360° in the drum. The detergent dissolves 100% and penetrates the clothes deeper for a cleaner wash.
Smart Sense – Smart Sense automatically determines the laundry load and optimizes the water requirement, wash time, number of rinse cycles and spinning time, that helps you save on your power bills and water. A crescent moon cast drum – Machine is so well designed that crescent moon shaped cast lined on the inner surface of the washing drum. This design works by curving the water up in a swoosh pattern so that the clothes do not rub against the wall of the steel drum and get damaged. Warranty – IFB provides 2 years comprehensive warranty on the product. 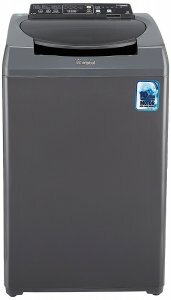 This is one the best top loading washing machine in India from Samsung, comes with 6.2 kg and suitable for small family. It has 720 RPM give you higher spin speed and faster drying time. Wobble Technology – it provides gentle care of fabrics without compromising washing performance. Wobble pulsators generate a dynamic, multi-directional washing flow that prevents tangles and increases washing power. Tempered Glass Window – A tempered glass door makes it easy to see inside, but will last much longer. It’s designed to withstand a great deal of pressure and is resistant to damage and scratches, so it stays looking good for a long time. Magic Filter – It effectively gathers the lint, fluff and particles that come out of your clothes, so your laundry stays cleaner, while protecting your drainage from getting clogged up and it’s easy to clean. Air Turbo – Rapidly rotates the drum to extract more water, so that it reduces drying time. Water Fall – The Water Fall technology delivers more cleanliness and rinsing. Its powerful, concentrated water spray ensures detergent is distributed evenly, so it washes your laundry more thoroughly. Diamond Drum – This feature a unique “soft curl” design with smooth, diamond-shaped ridges that’s gentle on your clothes. Its small water exit holes also mean fabric is less likely to be trapped and damaged. Eco Tub Clean – Keeps the tub clean without chemicals. It notifies you at the right time. Warranty – 2 years on the product. This is a good unit from Haier, comes with reasonable price. It has 5.8 Kg and comes with red colour. Same configuration unit comes with the little lesser price in white colour. This is another best top loading washing machine in India. 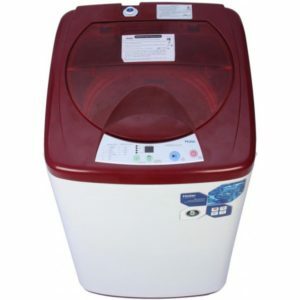 Rust Free – it comes with plastic cabinet is rust free so it gives better & longer life to your washing machine. Quick Wash – Specially designed functioned to wash your clothes quickly. On your urgent requirements, now you can wash laundry in much less time. Quality Wash – Quadra flow pulsator generates multi directional turbulence in the drum and rotates your laundry forcefully. This also helps in multi way rotation for a better wash.
Warranty – 2 years on product and 5 years on motor. 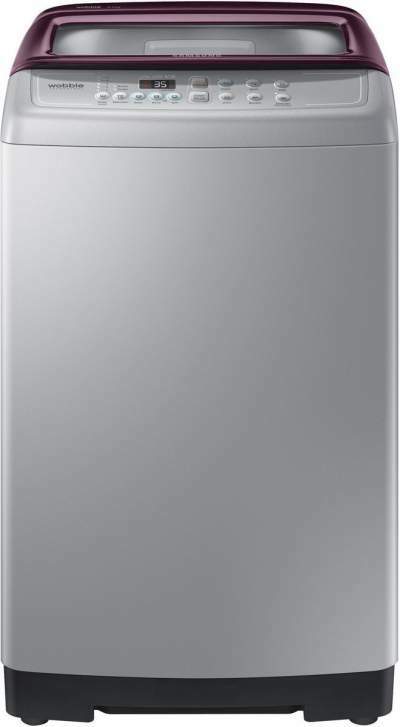 Size & Performance – this is a highly efficient unit from Godrej, it comes with 6 KG capacity and white colour. Smart Technology – It washes your clothes using the Pulsator Technology which generates a 360 degree motion that eliminates dirt and stains from its roots and thus, cleans your clothes better. The auto-balance system of the machine makes sure your clothes don’t get tangled during a wash cycle. 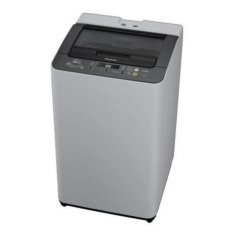 Machine Durability – The body of Godrej WT600C is very strong and durable. Made up of high grade plastic material, it is non-breakable and highly robust. Besides, the fine quality plastic keeps the body of the machine protected from rusting and corrosion. Warranty – it comes with 2 years warranty. Size & performance – this is the best model from Pansonic comes with 6.2 capacity and gray colour. It is more stylish with the sophisticated Aqua Crystal Glass Lid for a high-class appearance. The newly designed Panasonic drum, the “Sazanami Drum”, features an interior with dimple-shaped water spouts-ideal for thoroughly removing dirt while being gentle to clothes. Saving water – The ECO AQUABEAT reduces water usage during rinsing, the washing cycle hate uses the most water. It is thoroughly agitates clothes to evenly rub them clean with just a little water. Energy saving in idle mode – If your washing machine is idle after use, it goes into the stand-by mode with power consumption to save electricity. Other features – child lock is available like safety buzzer will warn when the lid is open during operation. If power is lost then instead of starting your course all over again, Auto-Restart goes back to two minutes before power was lost. This saves you time and saves energy too. Warranty – 2 years comprehensive warranty on the product. Size & performance – this Whirlpool unit comes with very good features. It has 6.5 Kg capacity and comes with Grey colour. It has ZPF Technology which fills tub 50% faster even when the water pressure is low. Fastest drum fill time of 5 minutes, it works even if the height between the tank and tap is as low as 7 ft.
6th Sense Deep Clean Technology – This is unique The 6th Sense Stainwash Deep Clean Technology with its unique soak, 3D scrub and agitation gives deeper penetration of detergent removing 10 tough stains and cleaning cuffs and collar. Smart diagnosis – it senses the voltage levels and water pressure in the tap, detergent savings-senses the load and fabric type and gives the detergent dosage required. Warranty – it is very good from Whirlpool, it gives 10 years warranty on motor and prime mover. That is all our fully automatic best top loading washing machine in India 2019. We have provided all important details for each model. We have considered those points/criteria, user feedback and price tag of the product to prepare this list. There are different ranges of best top loading washing machines are available above and you can choose the one which fits in your budget and needs. Can you sugegst me best top loading 10 Kg automatic washing machine. I seen Whirlpool 360BW but review on different site are not good. Then Haier 8.2Kg it looks good with feature of drum outer side cleaning system.